Feel free to call me out for not picking a book that was not as good, but this week in comics was simply too good to be true. This week included The Walking Dead, Saga, Punk Rock Jesus, Mind MGMT, and the return of Locke and Key. Throw that in with another installment of Batman from Scott Snyder and a new X-Men book headed by Brian Michael Bendis and you can't go wrong. I really struggled narrowing it down to the top two books this week. I feel good in my selection, but you could make an argument for any of this week's releases. Hit me up at @newhousebailey on Twitter if you want to chime in with your take. 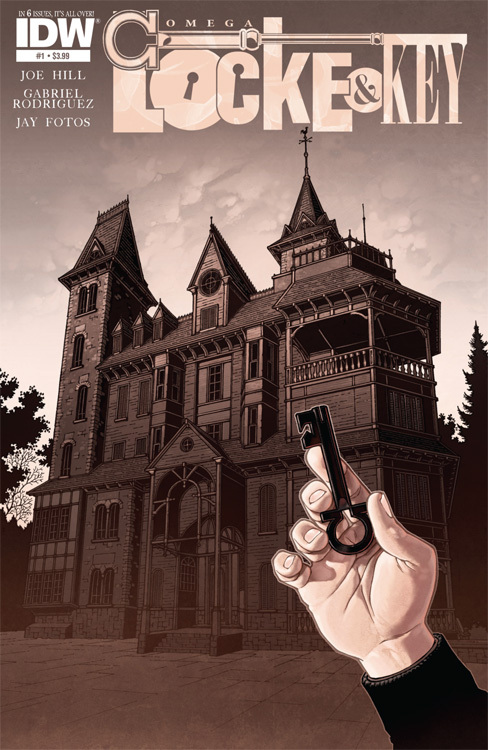 Locke and Key: Omega #1 - This week is bittersweet for many Locke and Key fans, including myself. If you have read any of the interviews with Joe Hill about this chapter in the story, then you know that even he doesn't know how things will end. This unknown is both terrifying and exciting at the same time. The book starts out with Bode, under control of Dodge, securing the shadow key before heading down into the cave. Meanwhile, Scot Kavanaugh embarks on a senior project making a film about reflection. Kinsey, even though she isn't a senior, and Tyler participate and shed even more light on their past and the events that have transpired to this point. The juxtaposition of the sheer terror of a Dodge possessed Bode threatening to open the black door and the seniors preparing for an end of the year party really put the reader in an awkward position. On one side it is refreshing to see the Locke children begin to come to grips with their haunting past and seem to reach a point of peace and happiness that hasn't been seen in the book. On the other side, the ultimate destruction of everything is imminent and it doesn't appear that much will stand in Dodge's way. The final panel is a chilling image of just how dire the situation is. I sure hope that issue #2 comes out quick! Time for another re-read of the entire series! This issue also featured some fun cameos from both Joe Hill and Gabe Rodriguez. 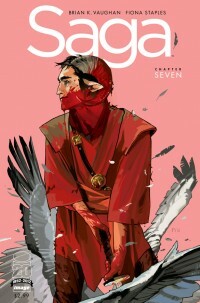 Saga #7 - I struggle when I try to convey how brilliant this book is. The humor and heart that Brian K. Vaughan is able to impart in his books is astounding. This issue opens with an awkward confrontation between Alana and Marko's parents that ends with Alana left humiliated in a towel alone with her father-in-law. Marko and his mother leave the spaceship to save Izabel (who was banished by Marko's mother) and we learn a jaw-dropping secret about Marko's father. I don't think I will ever have the ability to state how beautiful, funny, and suspense filled this book is. Coupled with Fiona Staple's art, this is one of the must have titles of the year. All-New X-men #1 - Brian Michael Bendis has been tasked with tackling the X-Men arc following the aftermath of the Phoenix incident. With the rebirth of mutant-kind from Phoenix, Scott Summers, Magneto and Emma Frost are rounding up new mutants before the human authorities can get their hands on them. The one downside, his exploits are being televised and there is concern this will impact human-mutant relations. Hank McCoy is afraid that his next mutation is going to kill him and he wants to complete one more good deed before he dies. This deed, travel back in time and bring the Scott Summers of the original X-Men to the present day for a pep talk with his new self. Intriguing story line and solid first issue. I'm in. Batman #14 - As long as Scott Snyder is writing Batman I will be reading it. The Court of Owls was amazing and Death in the Family is off to a fast and furious start. Batman finally learns that Alfred is kidnapped, Commissioner Gordon is poisoned, and the Joker has vowed to kill the rest of the family using Batman himself. This is going to be one hell of a ride. Hoax Hunters #5 - As someone new to this title I found this book very enjoyable. A simple, but fun story that introduces the reader to the Hoax Hunters world and what it entails. We are provided the story of the Jersey Devil and how the Hoax Hunters team not only successfully swept that under the rug, but provided some back story on how Jack Lawson was really part of this team before he knew it. Seems like a great starting point for new readers like myself. 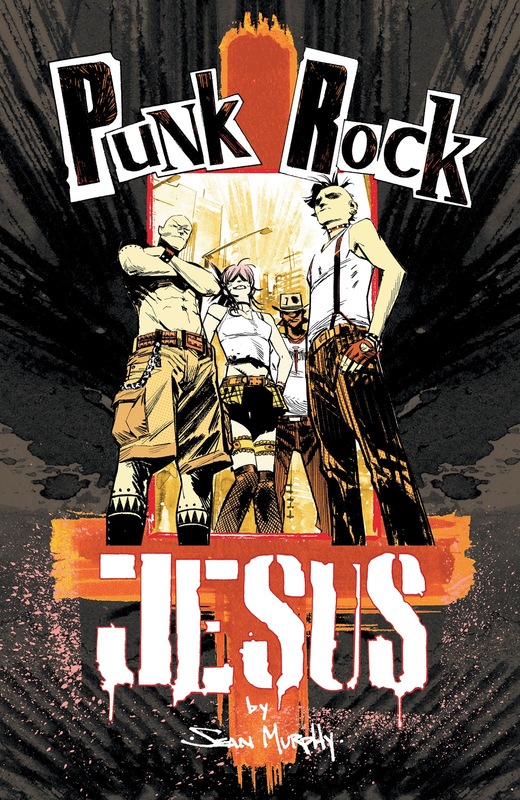 Punk Rock Jesus #5 - With only one more issue left to go in Sean Murphy's epic tale of the second coming of Jesus, J2 is reunited with Thomas and the two begin to plot how to take down Slate and his cronies. J2 and his punk band, the Flak Jackets won a Nobel Peace prize for their efforts furthering science and helping the poor. Through a chilling flashback we learn why Thomas left the IRA and has such a soft spot for children. This issue ends with the Flak Jackets embarking on a final show at Jerusalem. Can't wait to see how this one ends! Walking Dead #104 - Wow does Kirkman know how to keep the reader hooked. Negan and his men drive triumphantly home and Rick is left with his group disappointed in his apparent surrender. I don't know if anyone is as disappointed as Carl who attempts to take things into his own hands. One thing is clear, this current arc is not going to end pretty. Mind MGMT #0 -In this one-shot, we are treated to Meru's investigation of Mind Management and we learn about past agents spanning all the way back to World War I. There are whispers of Henry and the usual Mind Management psychic techniques. Not my favorite issue of the bunch, but a fun issue nonetheless. 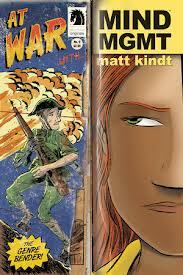 Matt Kindt continues to deliver a physical comic that is worth your money. The watercolor format is simply stunning. I can't wait for arc #2.